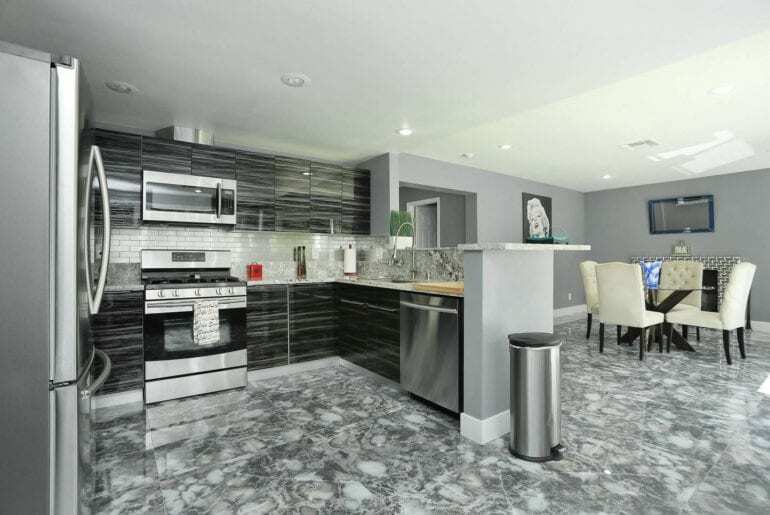 If you’re after Airbnb Las Vegas homes, you’ve made a smart call. 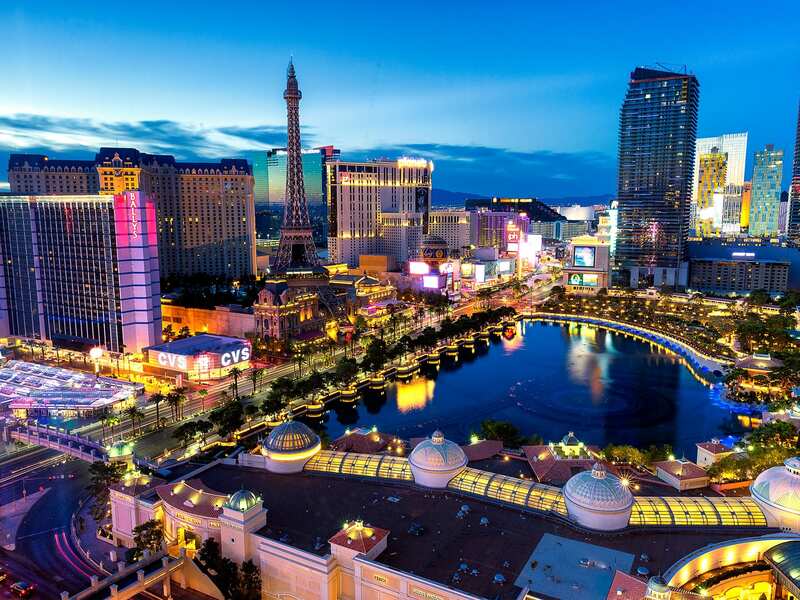 The desert metropolis of Las Vegas is famous for gambling, extravagance and entertainment. It can be found in the heart of the Mojave Desert, safely tucked in the middle of nowhere. Dreams become reality here, especially if your dream to catch Gwen Stefani play a career-spanning set of hits or you’re super into fountains. Someone must have also mentioned to you that there are casinos in Las Vegas, and while we advice gambling responsibly, we’re also no party poopers, and recognise they’re a lot of fun. 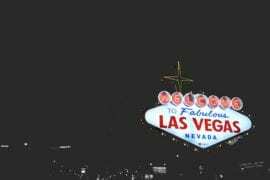 The folks over at CNN put together a great list of the best Vegas casinos, which might come in handy for you. If love is in the air, you can famously get married pretty darn quick à la Ross and Rachael in Friends and of course Britney Spears and her childhood sweetheart Jason Alexander (just try and make it last a little longer than the 55 hours those two famously managed!). We recommend getting Elvis to officiate, because why the heck wouldn’t you? This amazing apartment is perfect for the kind of trip to Vegas that Seth Rogen and Paul Rudd had in the 2007 movie Knocked Up. They ate some, ahem, party fungus, and had a wild time. The giant Onyx LED wall in this place will change colour and designs whether you and your friends have “imbibed” or not. The wall ain’t all this place has going on though. 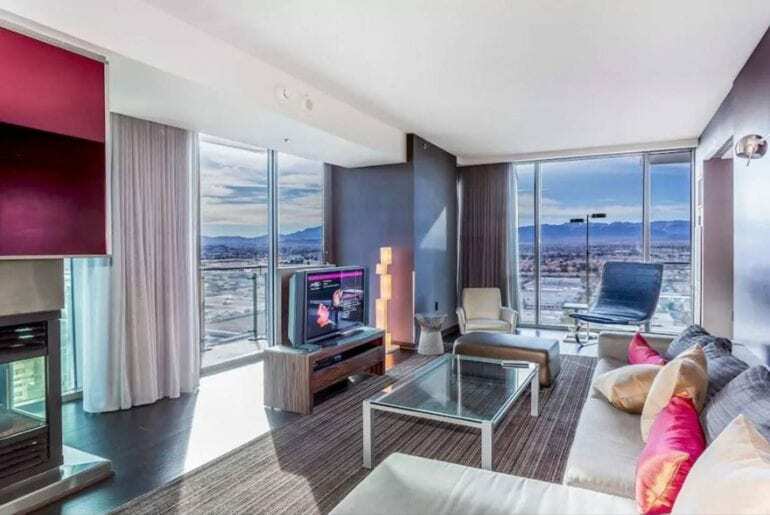 For $180 per night, you’ll have access to a wrap-around balcony overlooking the Strip, a state-of-the-art kitchen, a huge plasma TV, and a fitness center. 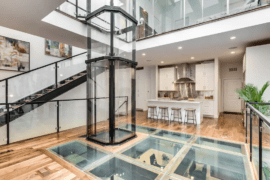 We’re not saying this central-yet-secluded modern 4 bedroom house is a party house, but the jacuzzi in the back yard can fit seven people in it – make of that what you will. If you’ve decided you want to bring your dog on your Vegas trip (which – no judgement – does seem like a strange thing to do) then you’re in luck, as this place is pet friendly too! 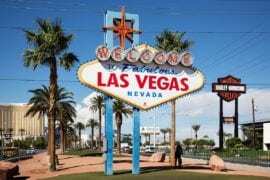 It’s only $149 a night bit only 10 minutes away from the Las Vegas Strip itself and 20 minutes away from the airport. You’ll have access to a fully open backyard with a huge pool, jacuzzi, a mountain view, a cool grill, and a garden. You might not even make it onto the Strip if you’re hanging out here grilling meat with your pets! This fancy pad is 29 floors up in the air, so the view ain’t bad at all! The best thing though? If like the view on this balcony, you can just go to the other balcony and check that one out instead. That’s right, this condo has two balconies and it ain’t playin’. For a very reasonable $150 dollars a night, you’ll also get to enjoy a fireplace, a jacuzzi and …wait for it… 24 hour room service! That’s a pretty rare thing for an Airbnb! 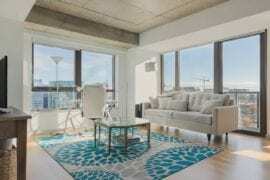 This stunning 1-bed condo is another high altitude property (23 floors up!) with some incredible views of the Strip and the mountains. $149 per night seems like a steal for a place like this – is it haunted or something? For that pittance, you’ll get access to the building’s gym, a not insubstantial pool and two balconies. 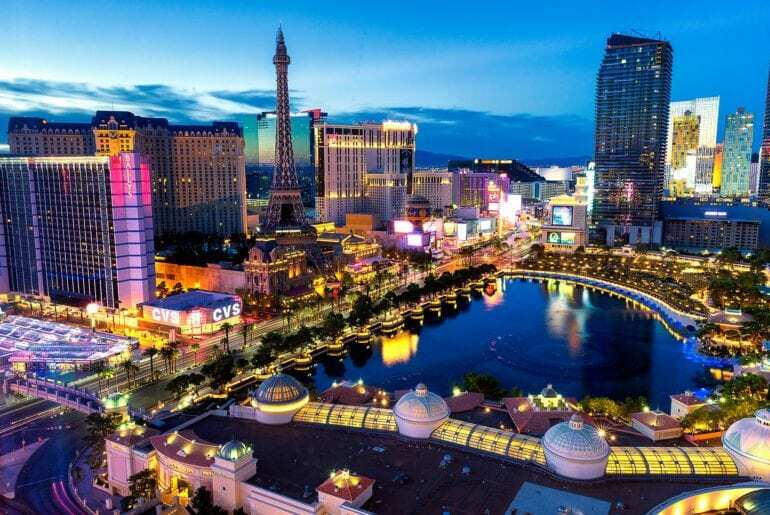 Las Vegas isn’t exactly known for being reasonably priced, but this really ain’t so bad, we think you’ll agree. 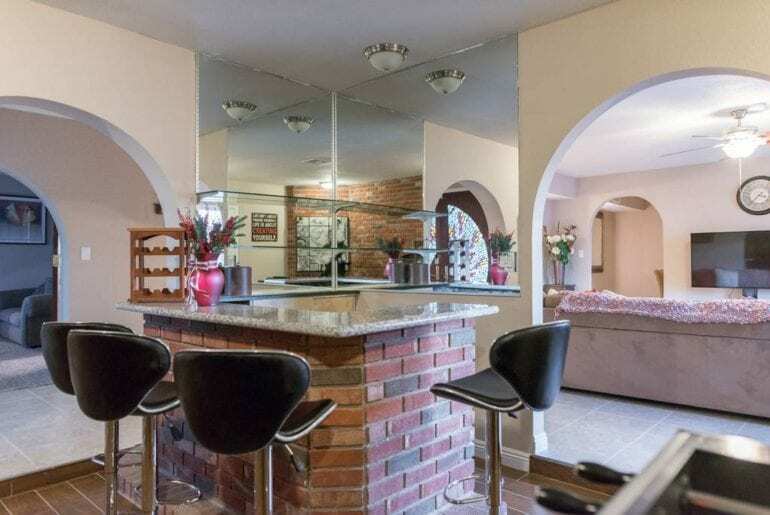 This stunning spacious house is an outstanding home fit for up to twelve guests. 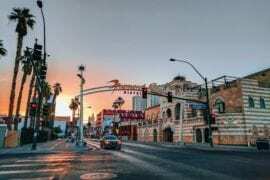 It’s located only 5 miles from the Las Vegas Boulevard and the price is $189 per night. 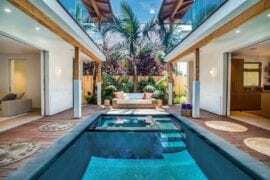 For that very reasonable price, you’ll get to enjoy a very sleek, modern décor, a private pool and barbecue area, and a state-of-the-art kitchen. Very nice! 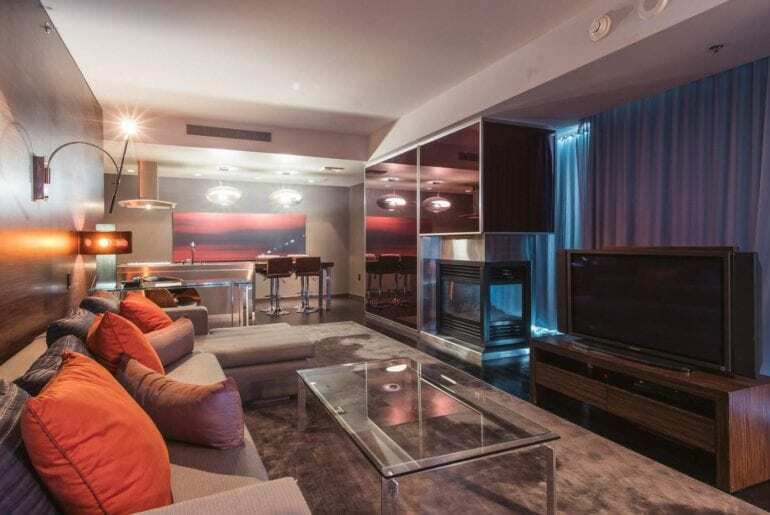 This plush apartment is attached to the glorious Cosmopolitan Resort and Casino, which is located in the heart of the city, between Bellagio and the center itself. You’re right on the strip! 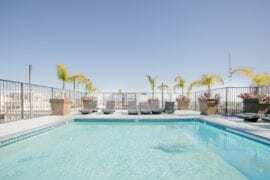 For only $129 per night, you’ll have access to the Chelsea Pool, tennis courts, free parking, Spa, and a fitness center. The Cosmopolitan is pretty fancy, so it’s pretty cool to get access to all their stuff. We recommend the Chandelier Bar and the Bamboo Pool, if you’ve got a bit of spare time to hang out around there! 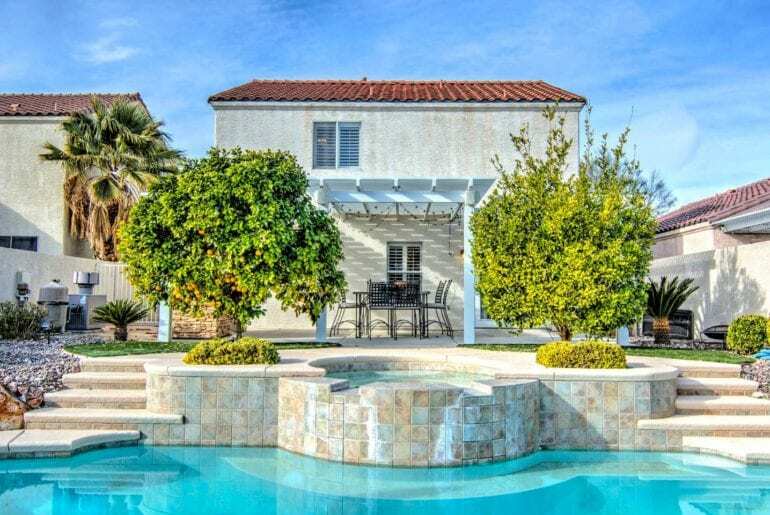 OK bachelors and bachelorettes (and their respective best men and maids of honor), here’s another fun party house: this place can fit 12 people easily, it’s got a decent sized pool, and it’s equidistant from the strip and Red Rock Canyon, so you can go full Vegas or full wholesome, depending on the mood that takes you all. Sure, you’re going to go full Vegas, but it’s nice to at least pretend that you might do some hiking at some point, isn’t it? 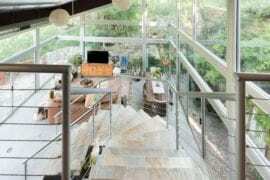 This amazing getaway house is furnished with brand-new furniture and equipment. 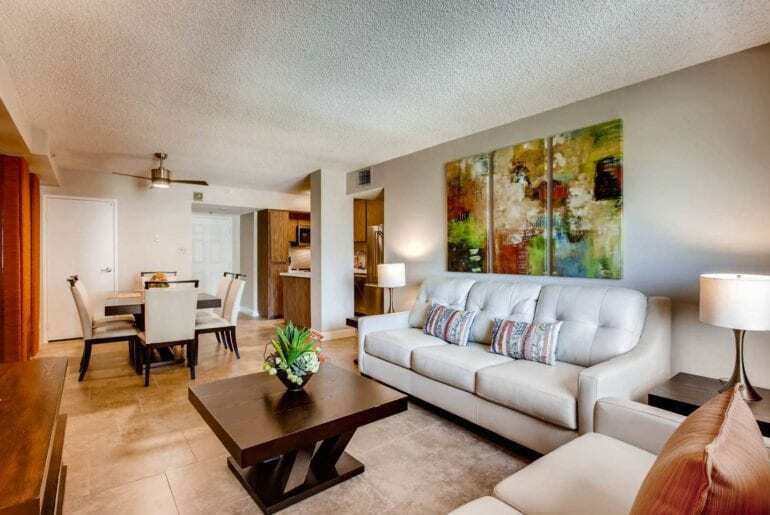 It’s only 10 minutes away from Las Vegas Boulevard and for $249 per night, you get full use of a super fancy looking private pool and spa, a barbecue area, a jacuzzi, and a big ol’ backyard. The patio looks like a pretty chill spot to hang out of an evening too. If you and seven of your buddies feel like a Vegas break, we’d recommend this place wholeheartedly.